For the Past years the Malta Health Network has been at the forefront in promoting the World Day Against Pain 2018. This year once again MHN is partnering with ISAL Foundation to promote the day. However being members if the International Alliance of Patients Organisations, MHN this year is also promoting September as the Pain Awareness Month. 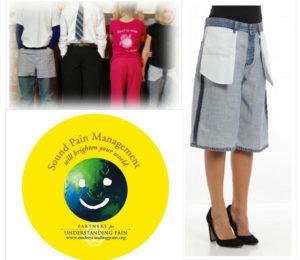 Pain Awareness Month – Join the global campaign this September! The American Chronic Pain Association (ACPA) and IAPO invite you to join us in campaigning to raise awareness on chronic pain throughout September. Help us call on governments, health service providers and patients to prioritize efforts towards making chronic pain more readily recognised, better understood without stigma, more effectively treated and managed, and acknowledged as a serious public health issue! Through a globally coordinated effort we can together achieve increased awareness among relevant stakeholders on the need for better understanding of what a person with pain deals with on a daily basis, the challenges they face and society’s lack of understanding about chronic pain. This is in effort to ensure that there is improved access to care, especially for the underserved, and for more education among the healthcare community, legislators, society, and especially payers. ACPA has put together a set of resources and tools to help us with our advocacy activities of raising awareness on pain for the entire month of September. They have also created key toolkits for advocating for the campaign. IAPO has created a policy briefing on pain management with an overview of the global policies in place regarding pain management, but also advocacy strategies in raising understanding and awareness within the general public. This is a result of our belief that harnessing patient involvement in decision-making is vital to create patient-centric pain treatment and management strategies. In addition to that, in 2018 ACPA has specially launched the creative and engaging Inside Out Campaign. The idea is to raise awareness by wearing at least one piece of clothing INSIDE OUT on any Friday during September Pain Awareness Month. People will ask you why you are doing this – creating the perfect opportunity to talk about the importance of the topic. One of the most difficult things to do is to have others understand what it is like to live with pain. With the Inside Out Campaign we can bring their attention to the pain that lives within. Don’t forget to post your picture wearing inside out clothes on social media using the hashtag #acpainsideout and challenge your friends to also wear their cloths inside out during a Friday in September!